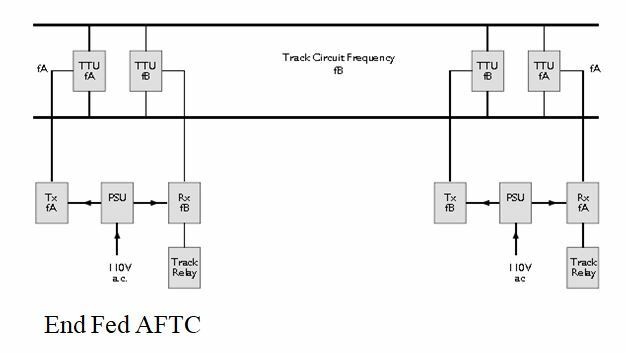 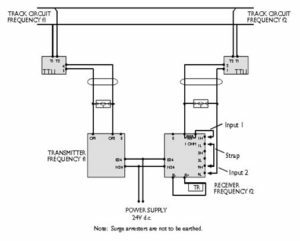 It’s a type of AC track circuit in which audio frequency signals are used instead of pure AC or DC signals. 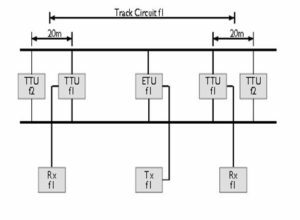 Its generally a joint less track circuit, extremity of the tracks are defined by tuned units but can also be used with IRJs. 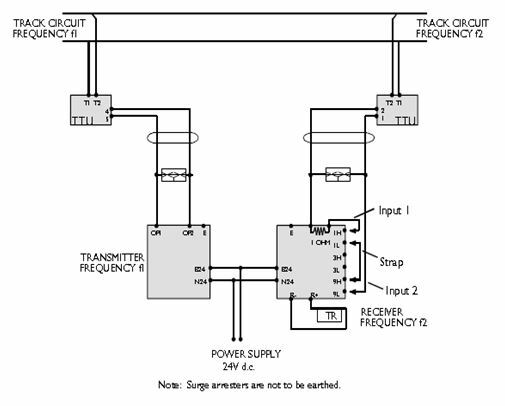 It is least prune to interference and hence can be used in ac, dc, and non electrified areas. 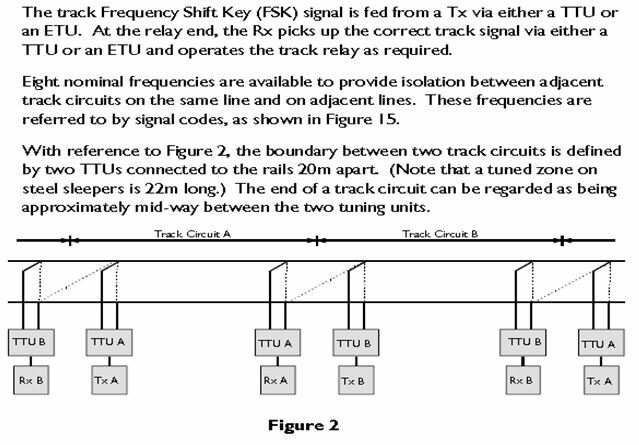 It has built in time delay and hence do not need slow to pick up track repeater. 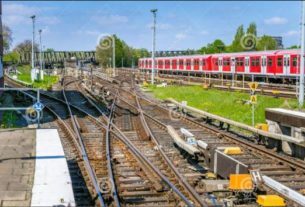 It is a double rail track circuit and must not be connected in single rail mode. 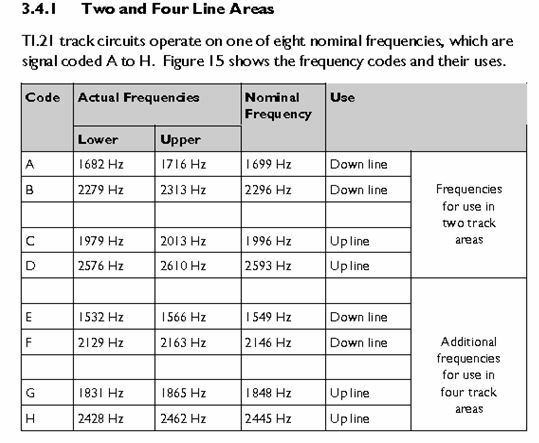 Hence generally not suitable for S&C area. 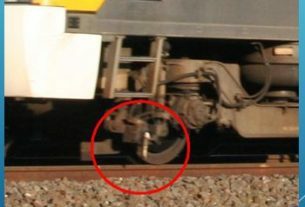 ETU – Use of ETU at an IRJ enables the train shunt to be effective up to the IRJ. 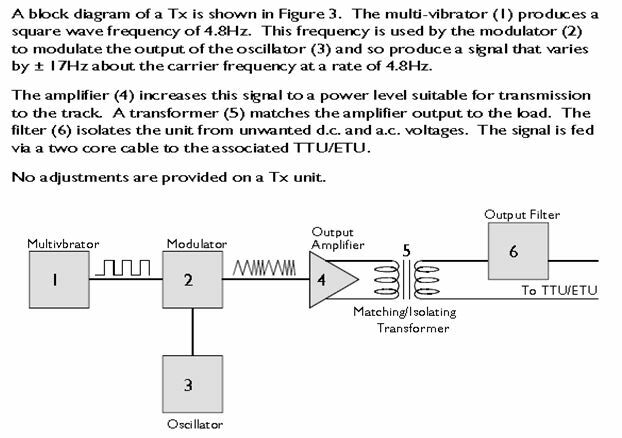 In this case ETU can be used either with Tx or Rx. 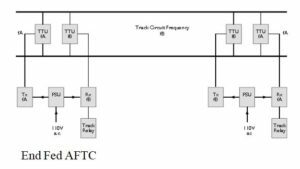 Max distance permitted between IRJ and ETU rail connection shall not exceed 1m. 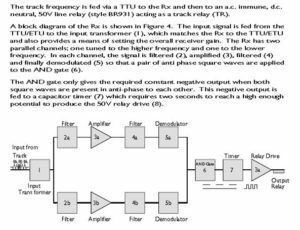 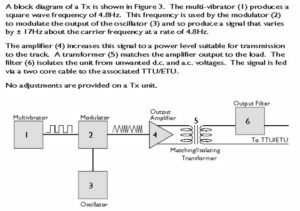 ETU also enables the Tx to feed two receiver units of the same frequency. 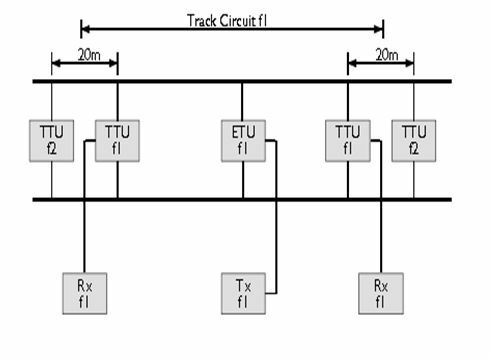 TTU – Where two joint less track circuits abut a TTU from each track circuit is connected to the rails 20m apart to form a tuned zone. 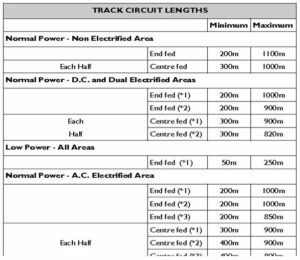 The shunt zone of each track circuit extends beyond mid point between TTUs. 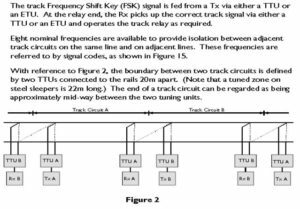 If the next section of the line is non track circuited then a tuned zone shall be followed by A IRJ at 18.5m. 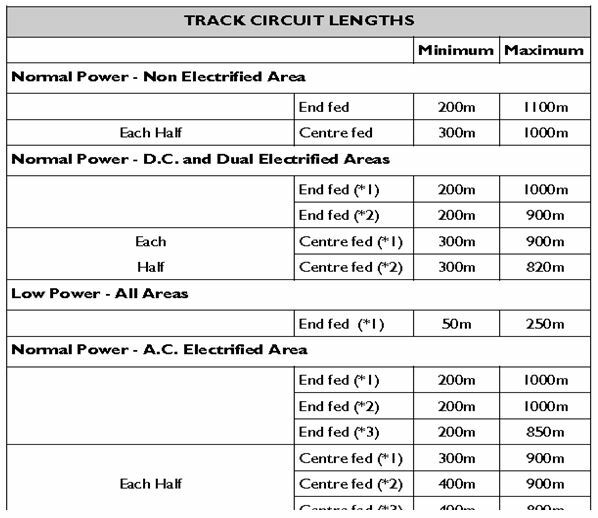 The limits of the Track circuits shall be defined by IRJs in both the rails or by tuned zones. 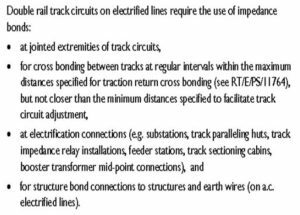 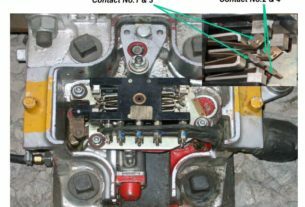 As TI.21 is used in double rail configurations, impedance bonds shall be used for cross bonding and in plain line shall be implemented with series bonding on both rails. 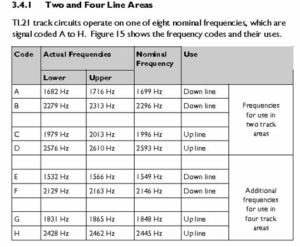 No Rx is to be positioned less than 50m from low power Tx of same frequency. 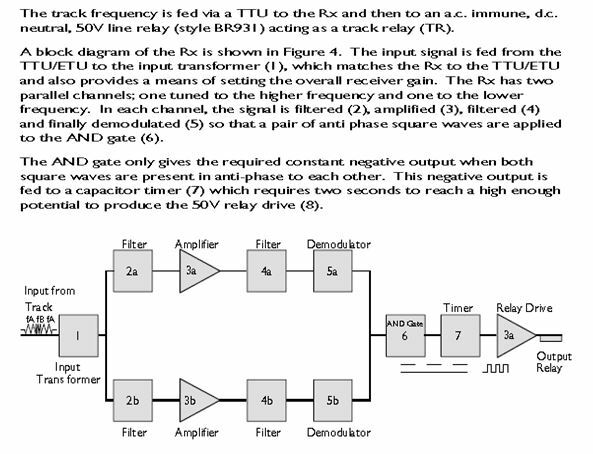 The min length restricted in End fed is required to false feeding of a RX by a TX of the same frequency, which is being used by another track circuit on the same line. 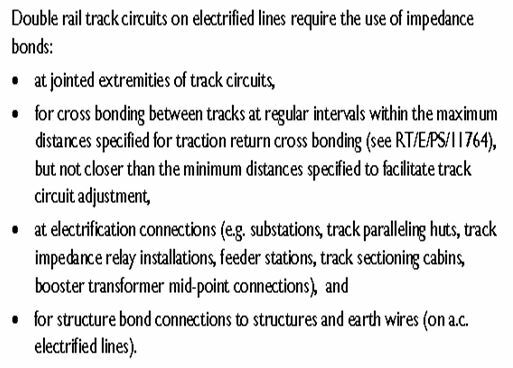 In TI.21 area structure bonds cannot be connected to rail as rail can not be earthed.